One more day and I'll be free! Let me just tell you one important thing I've learned about myself when it comes to school. Have you every heard the saying that someone is book smart, but not street smart? Well this is the dumb I referring to; school makes me street dumb. I can't remember everything, so I have to choose the books or everything else required for life. When I'm trying to study for an exam I literally can't remember anything else. You could tell me something and it's gone the next minute. It's replaced by trying to keep the knowledge that this one building in this one country was built by this guy in this year using this model because of this reason and people hated it because of this reason but we love it now because of this reason. Oh yeah and let's do this for every building ever built from the beginning of time! They will start to blur together after the 100th building, but don't get them mixed up or you will fail! If I try to remember what you said or that I have to do something else to do I will forget which building is which and I will fail my exam. I have to keep post it notes to get through life. Lots of post it notes. You should see the number of post it notes I have at work right now. It's crazy. You know I'm not even sure if this post make sense, because my brain is so overwhelming full. If you see any mistakes or incomplete thoughts, just roll with it. Let's just pretend I know what I'm talking about. I think my brain is going to explode from lack of sleep and over studying!! Only 9 more days and I'll be done with all this nonsense (exams) and get back to my regularly scheduled program. Last week I had my sister, Mona, write a post to help me out with the ol'blog. She did alright (I don't like to give her direct compliments or else it goes to her head) I had offered to let anyone in my family write a guest post for me, but I'm not sure how great that turned out. Mom jumped at the opportunity, but after reading her entry I told her "No" I would not be posting this on my blog. First of all, she wrote from my perspective. That's weird in it's self, but what's worse is she wrote my perspective on a conversation I did not even take part in! While I was reading it I felt like I was in the Twilight Zone. Like I had somehow jumped inside my mother's head and was living out life in her brain with her thoughts and opinions. It was beyond strange. Anyway, Overall, I don't know what's going on. But, in the interest of sharing my life with you, all the good and the bad, I decided to post my mother's blog entry. Disclaimer: The views and opinions expressed in this article below are those of the authors and do not necessarily reflect the official policy or position of My Lowercase Life or Luna LaBlue. My family and I have been debating a hot topic issue this cold and flu season, the dreaded MAN COLD. My beautiful mother gets tense and bothered anytime my daddyo starts a little cough has a sprinkling of sneezing because she knows right around the corner is the MAN COLD. This Sunday, the debate continued, since everyone asked where my Dad was. Jacque, our friend, says that he too gets MAN COLDS. His wife rolled her eyes and shook her head, so I assumed she get just as irritated by this menace as my beautiful mother does. Jacque then claimed that he thinks man colds are wwwaaaaaayyyy worse then girl colds. His theory was based in the fact that guys hardly ever get sick, so when the germs permeate through their cells, he knows that is a really bad strain to bust through all their maness. To this my beautiful mother, and his wife just laughed. And Angelicque added, "thats true, because you have such low pain tolerance." Unlike my Aunt NaeNae, who has an extremely high pain tolerance, just ask her, she will tell you. Perhaps, someday, when I partake of wedded bliss, I too may have a whole new outlook, on the phenomonum of the Man Cold. I know you all must be thinking I've gone and died without my coffee cup. I'll admit it was touch and go there for awhile, but I am still here. I've just been busy catching up on all my procrastinated work. I have three exams and a paper due by the end of the month and roommates moving in that we needed the house to be semi clean for. Do you know how much junk a person can collect in a year and half? A LOT! Although I'm gonna say Mona is a worse junk collector. She may not agree with me, but that's besides the point. I wasn't even going to post today, but after Mona and Mom both confronted me about my lack of blogging, and also threatening to write guest posts for me, I decided something NEEDED to be done ASAP! So I'm letting you know I'm alive, a little bit smarter (hopefully), and living a cleaner life with more people. On the smarter note, I've been able to help people with Math homework (I'm calling myself a math tutor now) and give out auto repair advice. Two things I never would have thought possible in my lifetime. Don't box yourself in, you can learn anything! Who knows, maybe next week I will be teaching a football class! (Okay, so after my initial reaction of "NO", I thought it might actually be fun to have my family write posts for me. I have them writing out samples right now and I will review them to see if they will be blog approved. I can't just let any embarrassing story in, I've got my reputation to uphold! SOMEONE STOLE MY COFFEE CUP LAST NIGHT!!!! You don't seal someone's coffee mug, that's just not right. I honestly think you could steal money from me and I'd be less upset. (not that you should try stealing money from me). It's partially my fault. I normally tuck it into my drawer, to keep my desk tidy and clean and out of the way of the security guard who sits at my desk at night. But, alas, yesterday I forgot about my little coffee cup and left him out on my desk. This morning when I went to fill him up it was nowhere to be found. I checked EVERYWHERE! I normally don't pull this, but I called my daddy. He is a big shot manager and in charge of security for our building. Dad: Gosh, were's the love? Me: There is no time for love. Somebody stole my coffee cup! After I thoroughly explained how the cup mysteriously went missing from my desk, he assured me he would "take care of it" for me (I picture him doing this mob style). A few minutes later I'm on a conference call with him and the head of security, Derrick (I also know him outside of work). Derrick: Can you describe the cup in question to me? 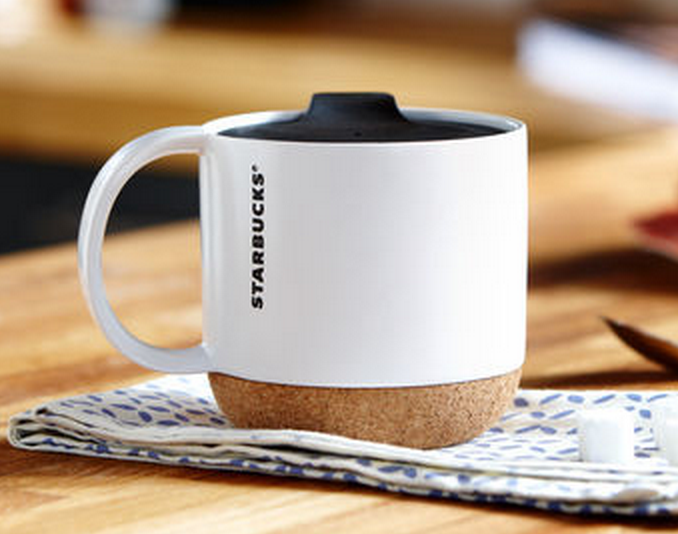 Me: Um...It's white and says Starbucks on it and it has a cork bottom. Dad: Does it have a handle or a lid? Me: Oh, yes! A handle and a black lid. Dad: Do you know how to describe things? Derrick: Where was the last place you saw it? Me: On my desk to the left of my keyboard. Dad: Who was the last person to see the mug? Me: Karen. She saw it sitting on my desk when she left at 5:00 PM. Dad: How much does Karen need a coffee mug? Me: She doesn't drink coffee, so she wouldn't need it at all. Derrick: We have yet to get a hold of the security guard who was sitting at your desk last night, due to him probably sleeping, but we will try to get to the bottom of this. About 20 minutes later I have the head of the cleaning crew, Ed, at my desk. Me: Somebody stole my coffee cup! Even: It wasn't one of my girls. The only girl who's over in this area wouldn't do it. Even: How much does that coffee cup go for? Me: It was expensive, around $20-$25. Even: I'm going to make sure we get you a new coffee cup. Me: You don't have to do that! Even: It will be covered by the company. Get me a picture of that coffee cup. I look it up online and printed the picture off. Come to find out it was a $31 coffee cup. Even: You could have a hundred coffee cups for that price! Me: It was a gift. Even: I'll make sure we get you one by next week. I just want my coffee cup back...the poor little thing must be sad and lonely without me. He never left my side while I was at work. My dear coffee buddy. Where are you? You do not tolerate a man beating you up. PERIOD. My coworker, Karen, has an on again off again relationship with this guy, Jim. Jim is a low life heroin addict who has been in and out of jail. Karen knows that he's no good and keeps trying to get rid of him, but she always goes back to him because, even though it's idiotic, she loves him. They have been together for over seven years. They have a son together. It's hard to let him go. Two weeks ago she kicked him out again. He was back on drugs, lying to her, and stealing from her and her kids. Over the last two years of working with her she has broken things off with him over a dozen times. I always hope and pray it will stick. She always takes him back. Late last week she let him back in the house to help take care of their son. She firmly told him that he wasn't there as her boyfriend, only as a father. While she was sleeping Jim got a hold of her phone and onto her Facebook account. Karen had been messaging an old boyfriend, since her and Jim had been broken up, and Jim found out. He grabbed her from her bed, nearly breaking her wrist. He picked her up and threw her across the room. He broke her phone while throwing it at her, and smashed her face against the stairs. And that is just what Karen chose to share with me. Who knows how bad it really was. This isn't the first time this has happened with Jim. This is the first guy to do this to her either. Under no circumstances should you tolerate a man beating you up! Even if you think you deserve it. 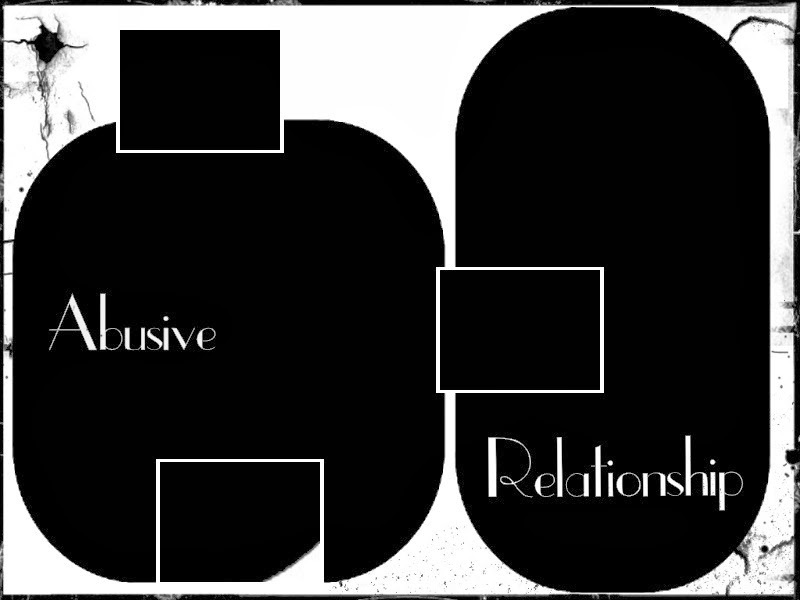 YOU ARE IN AN ABUSIVE RELATIONSHIP! Don't put up with it. Don't let him back in. You are beautiful, funny, smart, loving, kind, and full of life. Don't let him beat it out of you. You don't need a man to make you happy, especially this man. And if you want a man, you can do better. Find someone who loves you enough not to beat you up. You wouldn't take it from a stranger, why would you take it from someone who is suppose to love you? You deserve better. Nothing warrants getting beaten up in a relationship. This is important, not just for your well being, but for you LIFE. I know it's hard, because you love him, but please, please don't let him back in. I'm begging you. MY ALARM CLOCK DID NOT GO OFF THIS MORNING!! Or I didn't hear it, but either way I'm blaming the clock. Little did he know, when he didn't go off this morning, that I had my "Leave the House Now" alarm set on my cell phone. He's never heard it before because I'm normally downstairs, with the phone, when it goes off. That's my "Leave the House Now" time. I had until 7 to get ready, drive 10 minutes (more if I get caught at stoplights) across town, and clock in for work. I threw on my clothes from yesterday, bolted over to the upstairs bathroom and stuffed my toothbrush in my mouth as I put deodorant on and ran down the stairs. I grabbed my makeup bag from the downstairs bathroom and spit my toothpaste out in the sink. My hair was in a ponytail at the top of my head, I could fix that in the car at a stoplight. Out of the bathroom and to the front door to quickly donned my winter gear. Yesterday it was a sunny and warm 20 degrees, so I was hoping I wouldn't need to bundle up as much as usual, but when I walked out the front door, with my purse, makeup bag, and keys in hand, it was not a warm 20 degrees, it was -15. I hate Wisconsin's temperature range during the winter. It makes it hard to adjust. I nearly froze to death as I scraped the ice off my car's windows, so I could see to drive. Once I cleared the car I got in I drove the 10 minutes across town, fixing my hair at one of the stoplights i finally made it to work. My fingers had finally defrosted from my outdoor escapades and I had to go back out. I rushed into the building to clock in. As soon as I was in I made a mad dash for the bathroom to pee and put on my make-up. With one last look over myself, thinking I look pretty good for the time allotted, I made it out to my desk with a minute to spare. You will pay for this one Alarm Clock. You will pay!